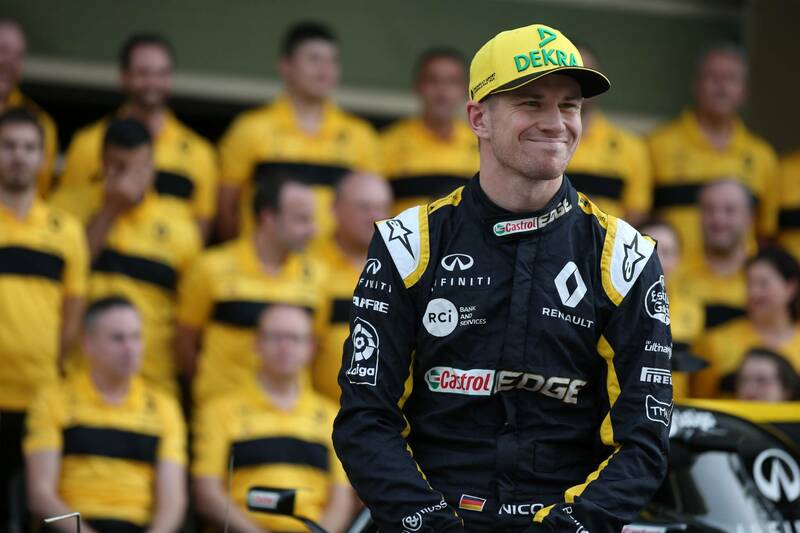 When Renault launched its 2018 Formula 1 car with Nico Hulkenberg and Carlos Sainz the key message was to focus on the long-term plan of returning the French manufacturer to the top. Zero expectations were placed on producing star results this season with development and growth continuing rapidly behind the scenes and Enstone and Viry respectively. Renault did deliver on its promise of progress and largely achieved all targets, even if a glimmer of hope for a podium faded as the year unfolded, but with over double the points tally of 2017 - moving from 57 to 122 points -, clear gains were produced in almost every area of the F1 team. The French manufacturer’s only problematic area, albeit a significant one, is finding a way to bridge the performance gap between its power unit to both Mercedes and Ferrari who appear streets ahead while Honda’s resurgence adds further threats. “We know that obviously the further you go the bigger the steps and the more demanding they will be,” Renault boss Cyril Abiteboul said in Abu Dhabi. “We would like to see, for instance, bridging the gap closer to the top teams in qualifying, in races, not being lapped, in terms of points scoring, so this is the type of target that we will announce at the start of next season. “You need to expect from us that we keep on progressing and completing the construction of the team and we expect Daniel [Ricciardo] to play a key role in that, just like he played a key role in Red Bull’s drive, in our opinion, on track but also off-track because we also feel that we need someone to embody that charge. Regardless, Renault will be aware a winning package isn’t far off – having seen Red Bull claim three wins and eight additional rostrums using Renault power this year – but to make a similar step in 2019 will require some genius winter work to equip its drivers with the tools to join the front-runners. Another high-flyer who struggled to reach his ultimate target for 2018 and once again came up short by some distance. With the F1 drivers’ world title fight effectively over following his poor Japanese Grand Prix performance, capped by another spin and tangle with a rival, Vettel’s points tally at the end of the year saw him only just surpass his 2017 total by three points despite having an extra race. By the four-time F1 world champion’s own admission this season wasn’t up to his high standards as the campaign became stalled by mistakes, clashes and flashes of complacency. Even when the title was officially gone by the time he reached Brazil, Vettel’s outburst of anger at being called to the weighbridge at the start of Q3 summed up his season. “I think if you look at the whole championship, we were still too far away,” Vettel said at the FIA prize-giving gala in Russia. “It was looking quite good and close up until halfway through, maybe including the races at Spa and Monza. “But after that, I think we had quite a significant drop in performance which made it quite difficult for us, and equally Lewis together with Mercedes had a very strong sequence of races, scoring a lot of points, a lot of wins. Then the gap opened up quite quickly. What probably frustrates Vettel the most is knowing Ferrari had the package and opportunities to take the title this year regardless of what Mercedes produced. The German driver will need a complete reset ahead of 2019 having failed to win any of the eight races of the season – his longest winless stretch since 2016 – and avoid the same pitfalls he’s suffered for the past two campaigns.